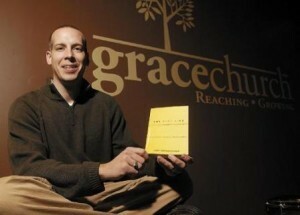 After 11 years as an associate pastor on the staff of Grace Church, a Grace Brethren congregation in Powell, Ohio (Rick Nuzum, pastor), Kary Oberbrunner has announced that he will be leaving the staff of the Powell church effective December 31, 2012 to enter a full-time ministry of speaking, writing, and ministering. In making his announcement, Oberbrunner said, “Knowing that God’s Kingdom knows no boundaries I will continue to write, speak, coach, and create within the Columbus community and around the world. This call will continue to take me into the business community and the church community. It’s blended because I believe God’s heart is blended to reach believers and unbelievers alike. My commitment is to finish well and transition the ministries I oversee. I will be working with the pastoral team, elders, and Grace Group Ministry Team in order to accomplish this over the next couple months. Kary and Kelly . . . God bless you both as you venture out into this new phase of your ministry. I treasure your friendship!